This is a great soft contemporary design that will blend with most design styles. The opal etched glass softly diffuses the light but still allows for maximum light output. 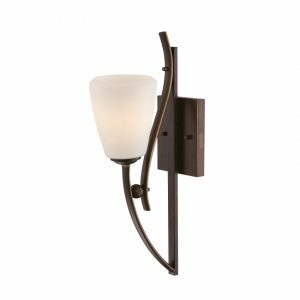 The classic Palladian Bronze finish accentuates the graceful curves of the fixtures.